Hello and Happy Tuesday to all! 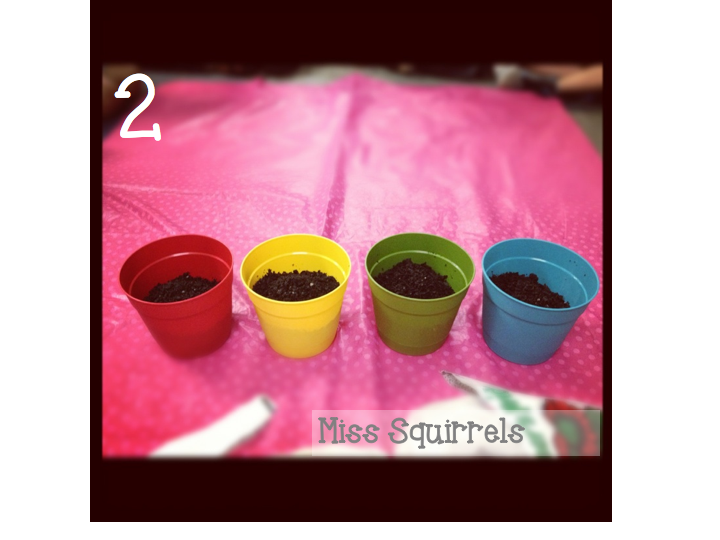 I have a great activity/experiment to share with you! We started today and I have to admit that I am a little scared because I have never done it before. And Squirrels are famous for their fear of the unknown! 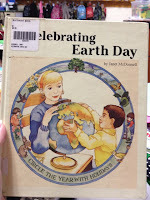 Our whole week is themed around Earth Day and Reducing, Reusing, and Recycling. We have talked about what happens to the trash in your trash can if it is not separated to be recycled. 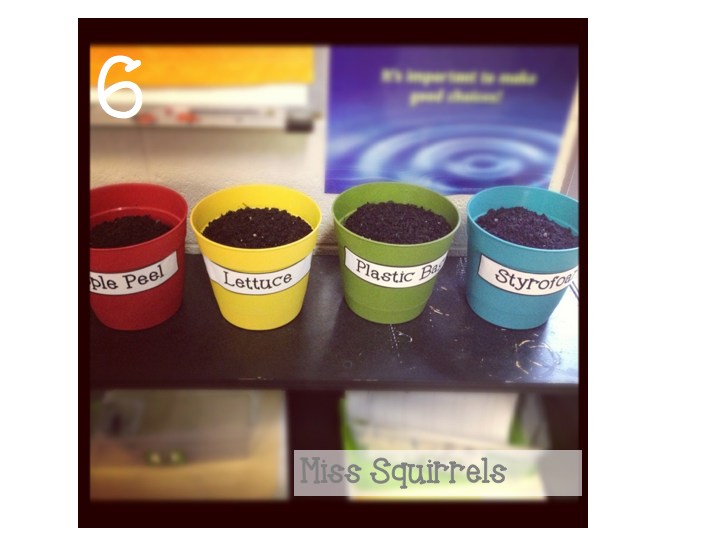 Our goal here is to lessen the amount of trash we create and introduce the option of creating a compost pile/barrel. The pots represent the "landfill". 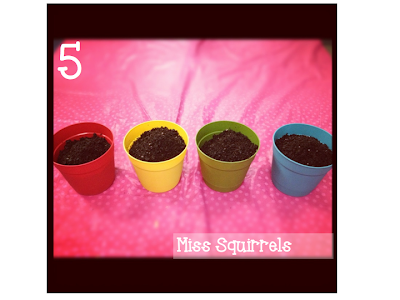 We added soil (cheap potting soil). Then we added some items that we might see in our everyday trash. This was very visual and animated! I peeled the apple because most of them do not eat the peel. I 'cleared" my plate with the lettuce that I 'did not" eat. I was throwing out the baggie from lunch. And finally, the Styrofoam was from large Cherry Slush from Sonic that I picked up on the way home from work because Miss D was talking about it and I started craving one yesterday! After our trash made it to the "landfill", we covered it back up with more soil. We added a sprinkle of water, labeled our pots and set them aside. We are going to put them outside of the door in the mornings, so that the heat can help with the process. So we aren't going to disturb any of the contents for one whole week. I am excited to see our results- and IF we don't see a HUGE difference in the composition of the peel and the lettuce we are going to keep the lil landfills going until we do! I have also created a two VoiceThreads. On one of them they are just sharing their thoughts on what we read in the book. In the other they will use the pictures to describe to families what is going on and also they will be able to share their thoughts and predictions about what is going on in our little experiment! We will keep you posted on what's going on in those pots!!! I can't wait to see the results of your experiment!! 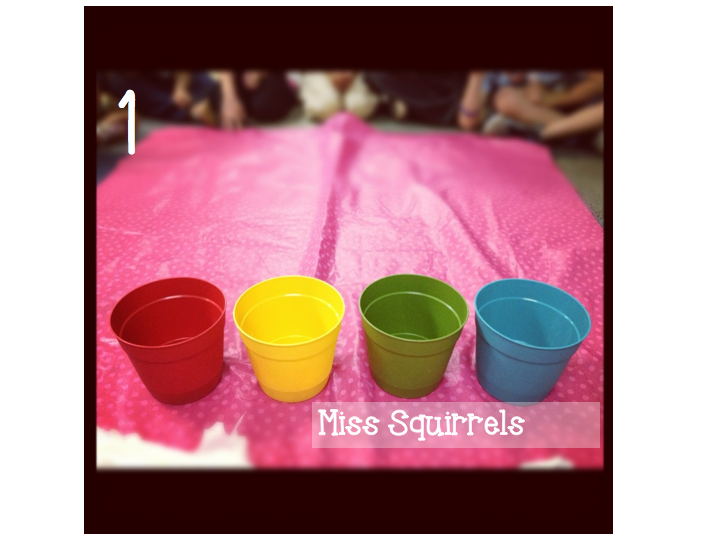 I can't wait to see what happens and I'm sure your kiddos are excited too! 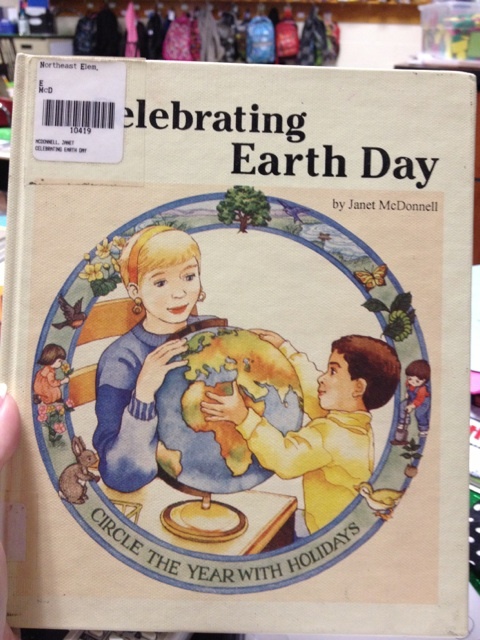 If only your library had a book about the Backstreet Boys celebrating Earth Day! Yea for a Backstreet Boys shout out! ;) This looks like a great Earth Day activity. I'm pinning it! Great idea! I love that they think the apple will be whole again. 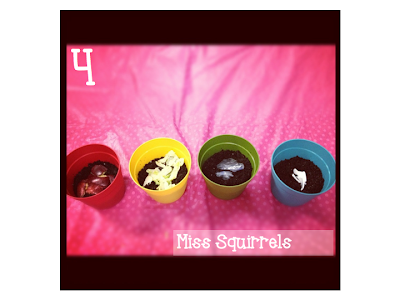 Apparently, it's magic soil, hehe! 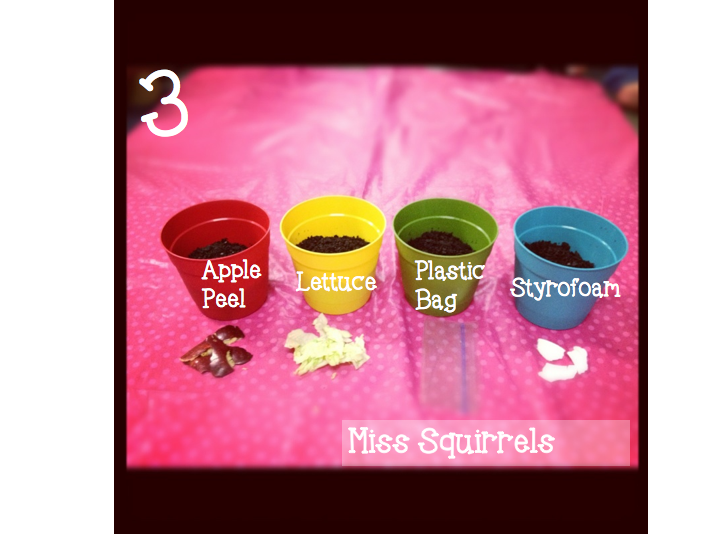 Brilliant idea Squirrels . . . downright brilliant. Pinned those little landfills for next year. Hugs girl. LMAO about the Backstreet Boys cd being near the book from 1992. Cute idea! Can't wait to hear what happens!